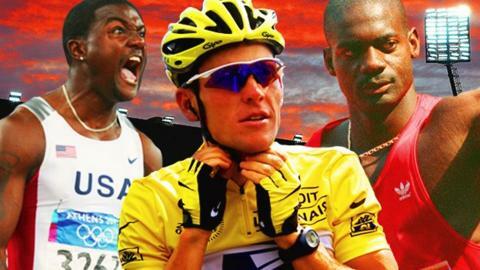 Athletics doping: What happens if trust goes out of sport? Perhaps the only real surprise in new Bond film Spectre is that the eponymous immoral organisation has not branched into sports administration. Sport matters because it has the potential to do what very little else in the world can: uniting communities, stirring the soul, strengthening the body, building bonds between disparate nations, offering individuals identity and an escape. But sport is not getting the governance it deserves. Governance is a dull word. So is administration. It is critical, and it is critical that it is done right, because otherwise we are all being cheated. Sportspeople are being swindled of their careers, of their reputations, of their future. Us sports lovers are being defrauded of our trust, our emotional energy and our financial largesse. Another day, another deluge of dirty laundry. On Monday, an independent commission set up by the World Anti-Doping Agency revealed a toxic epidemic of doping, cover-ups and extortion running across Russian athletics and spreading into the sport's international governing body. Dope cheats, protected by the people paid to catch them. Extortion to ensure their complicity. The destruction of thousands of samples, the involvement of secret police. All this while those at the top of the sport face trial for corruption and money laundering. We should be surprised by the depth and reach of this latest scandal. But how can we be, when it stems from a pattern so familiar across the sporting world? There is governing body Fifa, in charge of the world's single most popular sport, with 14 of its current and former officials and associates on FBI charges of "rampant, systemic, and deep-rooted" corruption. Its long-term oligarch Sepp Blatter is currently suspended, along with Uefa president Michel Platini, in the wake of a separate Swiss criminal case. There was the International Cycling Union under former president Hein Verbruggen, found by a 227-page report released last March to have colluded with disgraced cyclist Lance Armstrong to cover up his positive dope test at the 1999 Tour de France. Lance Armstrong has since admitted to doping and has said he would "probably cheat again in similar circumstances"
There is the International Cricket Council (ICC), run by N Srinivasan who was banned from running his own national governing board by the Supreme Court of India. His scandalous lack of accountability was outlined in detail by former Lord Chief Justice Lord Woolf and in human terms by recent film Death of a Gentleman. There is F1 supremo Bernie Ecclestone, who had his bribery trial in a German court settled in exchange for a £60m payment, and he left court a free man with no stain on his character. And there was the IOC before the Winter Games at Salt Lake City, expelling six of its members for taking hundreds of thousands of dollars from officials behind the city's bid in 2002. There might be the temptation to shrug with cynicism, to claim that everyone is at it, to suggest that where such power and money flows there will always be temptation and a failure to resist it. Reaction - "Dark day for athletics"
Do not. Athletics rewards very few with great financial dividends. It demands not just inherited talent but relentless hard work, much of it physically exhausting, little of it glamorous. When its governing body behaves less like global sheriff than bent cop, it renders all that not meaningless, but self-destructive. Who would put themselves through so much pain for so long only to be denied on the biggest stage by someone who has been aided and abetted in taking shortcuts? And who would want to be known for their sport when so many then assume all involved have been guilty of the same deceptions? It is the sort of double-cross and double blow that no clean athlete deserves, traduced by the cheats, smeared by the actions of those who have already duped them once. The existence of widespread doping in Russian athletics has been talked about in the sport for years. It became a repetitive joke: when did you ever see a Russian runner looking tired in the finishing straight? The International Association of Athletics Federations (IAAF) should be fighting that plague and protecting the reputations of its true stars. For those who watch from the outside, who invest financially in tickets and television subscriptions and emotionally in the big nights and great races, there is a betrayal equally as significant. Who to trust? When to throw yourself into the moment? When to celebrate something you yourself could only dream of doing? There were 17 track and field medals for Russia at the London Olympics - eight golds, four silvers and five bronzes. Across the whole Games they won 81. That is a very large asterisk to attach to the largest sporting event this country will ever see. With every scandal a little more faith leaches away. When you can't trust what you are watching, when you wonder where your money is going and what price others are paying for the events you love to watch, then the leak becomes a flood. What to do? Some say keep caring. Others, be angry. Demand more. Elite sport happens because you watch, listen and read. Sponsors come calling because you come with it. That money is there because of you, so exert the control you have. Those who do not agree with the ICC cutting the number of teams in its one-day World Cup from 14 to 10, further eviscerating the smaller nations, can deluge it with complaint. If you watched Death of a Gentleman and were distressed to learn that India, Australia and England carve up more than half of all Test revenues between them, you could join the film's Change Cricket campaign. Don't hear the word administration and look at the latest scores instead. If the voting process that awarded Fifa's World Cup to a small desert state with a questionable human rights record disturbs you, campaigners would suggest you boycott the sponsors who bankroll it. Where is your money going? Where is your affection being exploited? There are those who turn off the Diamond League when dope cheats are welcomed back. Others stop buying the trainers of companies who give those cheats shoe contracts. The fan is not an impotent consumer. The UCI has begun its rehabilitation under Brian Cookson. The International Olympic Committee changed forever after Salt Lake. Athletics must do the same, even as football currently seems unable to free itself from its own moral mineshaft. A scandal this grave demands action on an unprecedented scale. Suspend countries from events. Take events away from others. Think less of the organisation's reputation and more of the sport's survival. When journalists publish allegations of doping, do not call it a "declaration of war on the sport" as new IAAF president Lord Coe did this summer. If former head of anti-doping Gabriel Dolle is convicted of bribery and corruption, re-examine the other cases under his jurisdiction and retest frozen samples. Wada's budget last year was £17.5m, less than some footballers earn on their own. Match its funding to the scale of the problem. Sport only survives if we all keep coming back. We come back because we believe in it. If that trust goes, everything else falls with it. It is a bottom line that brooks no argument.